The Edmonton Journal's Elise Stolte has been doing an excellent series on the city's debate about the future of transit. Unlike many transit debates, this one is about a real issue that affects the entire city: how to balance the ridership goals of transit with the competing coverage goals, where "coverage" means "respond to every neighborhood's social-service needs and/or sense of entitlement to transit even if the result is predictably low-ridership service." This is the great inner conflict in transit planning: Do we respond to demand (ridership) or to needs and expectations (coverage)? When I briefed the Edmonton City Council last year, as part of their Transit System Review, I encouraged the council to formulate a policy about how they would divide their transit budget between ridership goals vs. coverage goals. This solves a fundamental problem in transit analysis today: too often, transit services are being criticized based on their failure to achieve a goal that is not the actual goal of the service. I may have invented this rigorous way of talking about transit's conflicting mandate. I began developing it in a Spokane (Washington) project around 1997 and in projects in Bellingham and Reno a few years later. My peer-reviewed paper on the methodology us here and the case for it is also in Chapter 10 of my book Human Transit. Helping transit agencies think about this question has been a central part of most transit studies I've done since, including major projects in Houston, Columbus, Indianapolis, Salem (OR) etc. A nice backgrounder on the whole issue, in which I was interviewed. Mayor Don Iveson scribbling a hand-drawn map of his ideal Frequent Network, rich with evocative ball-point ovals and clear hints of grid, and explaining the Frequent Network concept that is the foundation of many high-ridership networks. A city councilman from an outer suburban district arguing against too much service to his own low-density constituents: "If you want good transit," he says, "live where it already exists." Soon, I'm sure, she'll cover some of the passionate arguments in favor of coverage services, which we heard from several City Councilors when I last briefed them on the issue. Throughout, the Journal's Elise Stolte has taken a tone of genuine curiousity ("So, will you help me think this through?") in an argument where there are no right or wrong positions, only different priorities and visions to be balanced. Is your city having this conversation clearly? One more space in this week’s course in Portland! Thanks Jarrett. I’ve found it a fascinating project to work on. These blog posts have all been part of my reporting working up to a big piece running in the Edmonton Journal’s paper edition tomorrow (Saturday – on our homepage online tonight). You’re right that there hasn’t been a lot from the coverage perspective yet. That’s a gap, for sure. It should be addressed in this next piece. This whole debate which unfortunately Edmonton has gotten itself into, I think is a real threat to quality public transit that serves all needs. I still don’t understand how you can advocate not providing a basic attractive level of transit service to all areas of the city, and then providing enhanced service in high ridership corridors? This is basically how Canadian transit systems have been designing their service for decades, and it seems to work much better than the American way of only providing transit where there is perceived demand, or asking people to walk unacceptable distances to board transit. You can’t really have ridership unless there is service covering all areas of the city, so people can use transit to travel anywhere they wish, and reach transit within a reasonable walking distance. I think if you are going to advocate for ridership vs coverage, then you have to address the negative consequences coming out of people going too far with this policy. One can see this in Fredericton, New Brunswick, where planners took your coverage vs ridership goal way out of context, and now two areas of the city are facing being totally cut off from transit. The result, is people who really need transit are going to lose a way to participate in society, and are going to be potentially stranded. And the excuse for the cut is density is low in these two outlying areas, so they don’t deserve transit. As we all know, density is not the be all of transit usage rates, yet coverage vs ridership debates are telling people in outlying areas they don’t deserve good transit. My question is, why should outer Edmonton residents not deserve good transit? Why are you telling subdivisions in outer Edmonton that are no different than there counterparts in Toronto, that they don’t deserve their 30 minute bus service. When similar areas in Toronto have a bus every 10 minutes. If you provide quality service, people will use it. But instead of advocating that all areas deserve good service, you are saying we should be discriminating based on density and housing type, when in truth as Paul Mees showed, has very little effect on ridership. So I fail to see why the Canadian way of providing a basic, attractive level of service to all, and then providing more service where needed (the ridership goal) is seen as such a bad thing? Why is the idea of having most residents and jobs within a 400 meter distance of transit seen as bad? If they can’t access it, how can they use it? Why is guaranteeing residents regardless of area they live will have a bus service at least every 30 minutes between set hours, such a bad idea? Clearly the American way is not working, yet we should be cutting people off from transit? I fail to see how this will create ridership. And considering Edmonton has vastly higher ridership levels than even Portland, they must be doing something right? So I really do think you need to answer the question as to why you don’t think we should have standards ensuring all residents have the right to some sort of attractive service within walking distance of their homes, and then focus more service where required? If anything, American transit systems should be adopting the Canadian way. Not the other way with Canada loosening our outstanding service standards. I did a report on Canadian service standards compared to US service standards for transit when in University. And I just cannot wrap my head around why you want to dismantle minimum service levels and access to transit. A transit system is made up of all different kinds of routes and service. And basic service provides a very important role that in the long run supports the high ridership routes. And I think the result we see from this debate is Vancouver. Vancouver has been telling some areas of the region that they don’t deserve good transit service, because they are not as dense as the inner city. And the result has been service reductions to hourly bus service, or cutting service altogether. And the result? Vancouver was the only major city in Canada to have ridership decline last year. So clearly going after the perceived (ridership) does not always work, when you cut off or provide crappy service to other areas not deemed worthy of transit. In my professional opinion, I hope Edmonton looks into restructuring their bus service, with the following goals. -Ensuring an attractive minimum level of bus service to all areas of the city as currently done. -Putting the focus on a high frequency network along high demand areas. -Providing more straight and direct routing were possible, as along as this does not effect access to transit to a large degree. But I do not believe they have to choose between the ridership or coverage. You can’t have either without the other. @Michael: You seem to speak to this issue intelligeably, but I am not sure if I follow all of your points. Could you please specify the respective areas of Edmonton and Toronto that you refer to as being similar? On what basis are you considering them to be similar? What I have always understood a starting point to Jarret’s rationale to be that “for a given amount of service it can be apportioned in various ways” [paraphrase]; whereas I get the impression that what you describe as the “Canadian way” involves a greater quantity of service than the “American way”. Am I accurately understanding you on that point? “Coverage” can (must!) mean “coverage with some minimum level of service”. The higher than minimum, the more of your resources must go to achieving the ‘coverage’ goal rather than the ridership goal. However, that trade-off only makes sense within the context of a fixed budget – you can increase the overall budget, and get a higher minimum. It appears that @Michael is arguing that Canadian cities set that minimum at a high level, designed to make transit an attractive option; whereas US cities set that minimum at a low level, designed only to make transit a viable option. Concerning Edmonton and Toronto. If you look at newer subdivisions (and even older ones to an extent), there is not much of a difference between the two, besides design styles. Both feature closely spaced housing with some apartments or condos mixed in (in Toronto’s case they tend to be more high-rise). But this is not just an Edmonton and Toronto comparison. You see the same comparison within Toronto itself, between new outer subdivisions in Toronto, compared to new subdivisions just over the city border in the outer 905 suburbs. Identical neighborhoods who’s only difference is what side of the city border they are located on, and therefore what transit service they get. The Toronto side will have a bus every 5-10 minutes. The 905 side will have a bus every 30-60 minutes. Of course transit usage rates are vastly different with the Toronto side having double the transit usage rates in some cases, despite identical homes and incomes. But why? The only difference is the transit service provided. So that is what I was trying to get at. We can say a place cannot support good transit service. But at the end of the day it is the service that is more a factor in transit usage rates, and not always the built environment (although the built environment does have an effect). So we should not as planners be pitting different areas of a city against each other, and telling some areas they can’t have good transit service. If any area can’t support high frequency service, then we have to design attractive 30 minute (or the goal the transit agency sets) service that times properly with connections, to offer at least some sort of attractive service to all residents. Transit to succeed not only in ridership, but also to meet social goals of access for everyone, must provide some sort of attractive service to everyone. Like the book Transport for Suburbia says, we have to stop making excuses for poor transit service in the suburbs. We can punish the suburbs all we want, but they are already built, and we better come up with ways to provide some sort of attractive service to these areas. Edmonton has done that. They have a timed transfer network (the first on the continent), and they provide some sort of semi-attractive service during daytime hours. Evening service could be improved. I understand Jarret’s rationale that different percentages of service go to either coverage service or higher ridership services. However a number of places and Jarrett himself have been taking this into the context that some areas of a city either lose transit within a reasonable walk access to their communities, or are given a subpar basic service that will do nothing to try and attract people to transit (i.e. hourly service). And many areas chosen for this kind of treatment don’t have ridership because the service currently provided is unattractive. So we should not be cutting, we should be adding service. And Jarret’s rationale also makes people choose between ridership and coverage. And what I am saying is, you don’t need to choose, because you need both to actually have high ridership. If you are cutting whole areas of a city off from transit, or providing a subpar service, then that does impact ridership down the line on high ridership routes. Because I may live on a high ridership route, and want to get to an outer area of the city one day. And if the transit service is not there or unattractive, I will not be using that high ridership route either, because there is no connection at the other end. I will be using my car. If transit is going to compete and offer a proper alternative to the auto, and also provide everyone with access to where they need to go regardless of auto ownership, then transit has to provide a basic, attractive level of service to all areas in the built up area of a region. You can’t pick and choose. In terms of Canada vs US. Most US cities have no coverage goals. They plan transit service based on perceived need (which really means only where they think poor people live and are going), and they provide extremely poor base service. This has created extreme issues with access to work, and other mobility issues, because transit does not provide coverage. Canadian systems set specific goals for minimum access to transit, usually 95% of residents have to be within a 5 or 10 minute walk of a bus. And many set minimum service frequencies and span of service. Edmonton does this, and all daytime routes have to generally operate every 30 minutes or less). What this does is ensure transit is attractive to everyone, and areas which support transit service better with proper development, do get more service. But under this coverage vs ridership debate we are saying certain areas should be left to fend for themselves. And that is not the way to build a proper public transit system. And I think the American way shows that, and we should not be importing that way of thinking into Canada or anywhere else in the world. -Provide a basic level of attractive service to everyone within the set policy goals, like you are doing now. -Come up with a frequent service network for areas that can support it, or areas you think could support it. -For sure look into making the route network less complex. There is room for that especially in Edmonton. And some of that might mean asking some residents to walk an extra block or two. But you can’t pick and choose. You put out that minimum service level to everyone, and then the rest of your resources goes to so called ridership routes. But you don’t sit there redlining whole neighborhoods for poor service, which is what Edmonton and Jarett are doing. But the truth is, if you provide good transit service, as the book Transport for Suburbia shows, then people across density levels, income levels, and housing types will take transit. So we have to stop demonizing different areas of a city, because they don’t follow what planners read in a text book. I live in an area of Toronto that planners under this ridership vs coverage goal would condemn for transit. They would provide me at best with a bus every 30 minutes, and service would probably end at 10pm. All because I live on a street with single family suburban homes. However, my subdivision gets bus service 24 hours a day. I never wait more than 2-10 minutes for a bus, except late night on Sundays, when it is around 15 minutes, and overnight when it is 30. Over 20% of people in my area take transit to work, and transit also attracts a large number of off peak trips. However this would all not have happened if transit planners wrote off my area as only deserving an unattractive basic service, because of the topology. And I think it is a disservice to Edmonton and other cities that planners are telling them certain areas are bad for transit, instead of actually looking at how to provide the best transit service to all areas. Ultimately ridership will not be as high unless everyone has some sort of attractive service. @Michael – thank you. I see that we are both “long commenters” and both Toronto-based (I currently live near St. Clair W). I composed most of this dissertation prior to seeing you outline your clarification, so much of my comment expands along a different, but I believe complementary, line of thought. Nonetheless, I have reviewed it to try to attend to some of your points and not make spurious references to things that you clarified. @Tom – your comment even helped clarify mine in identifying the baseline resource constraint to be the budget; and specifically the component of the budget provided by public funding. Identifying this brought me closer to outlining my point. The entry to my thinking here is that the amount of public funding available in any jurisdiction is determined by public support, as manifest through the political system (imperfect as it is). Public support does not exist in a vacuum, but rather is created, in part through the expectations of how a transit system should operate. Now I suspect that these expectations are influenced by the extent to which citizens see a transit system as being “for me” or “for my community” vs “for other people” or “for elsewhere”. Related to this is the question: To what extent do minimum service standards influence those perceptions? I have to admit that proposing the subjective classification of minimum service standards as “attractive options” vs “viable options” is useful. It is even relevant as that classification is enacted through a million decisions where people decide whether the transit system is either attractive or viable for a daily commute, the occasional night out, or “the use by my neighbour whose transportation arrangements are different to mine, but I’m willing to support them through my taxes.” This being the case, there could be a feedback loop relating minimum service standards -> public support -> public funding -> the functionality of a network. Micheal, I was hoping to tease out whether or not there was some thinking related to this feedback loop in your comment – after reading the reply I see that your baseline thinking is that focusing on the choice of how much of something should be directed to ‘this’ vs ‘that’ re-directs us from talking about how much of the something is available in the first place. I am sympathetic to that argument, but also think that there always needs to be a referent level of something, and there always needs to be a discussion about how that something is parsed out. Now if either the relative or absolute allocation of either ‘this’ or ‘that’ can influence the amount of something available, then I am VERY interested in thinking about it… Hold that thought. Michael, I was surprised to see you cite Toronto as an exemplar of a supposed “Canadian way” where the conversation begins with city-wide service standards. From your description I can see that you and I see the Toronto-area in similar ways, but I will outline it for other readers anyways [plus I already took the time to write the description]. Functionally the more relevant unit of interest is the region (the GTA), and unlike Edmonton, in Toronto only half of the metropolitan population lives inside the city (a.k.a, the 416). The rest is in the outlying “905”. As you pointed out, this distinction has huge implications when discussing transit since in Ontario a) the jurisdiction of transit providers are determined by municipal boundaries, and b) the primary source of funding is municipal (mostly through revenue generated by property taxes). As I suspected, in referring to “suburban areas of Toronto” you are talking about those 1) within the 416, and thus served by the TTC, and 2) whose built-form is predominantly 1960’s garden path subdivisions punctuated by a number of “tower in the park” highrises, often near, but inconveniently set back from, major intersections. It was in indeed through these areas that Paul Mees wandered for his dissertation research, and I would concur that transit service here is “a reasonable option” although not a particularly “attractive” one. With your explanation, I will also add that riders living just inside the municipal boundary have the benefit of being able to travel to useful places for a single fare, whereas those who are just outside pay a marked fare penalty that negatively impacts ridership. In practical terms, friends of mine from Mississauga (just outside Toronto) will often drive to Kipling subway station, whereas those from Etobicoke will walk to the corner and ride the bus. The fare schedule thus contributes to the ridership which then feeds back into the economic viability of the route and the resulting frequencies, which in turn affects the ridership. Through all of this, the TTC has an inordinately high farebox recovery ratio (over 70% of operating expenses), so even if the rationale to design the system had been initiated with minimum service standards for coverage in mind, the end result is *a network* that is overwhelmingly successful if assessed in terms of ridership (as reflected by the main frustration in the core sections of the network: transit vehicles being crowded to the point of dysfunction). Going back to your comment Michael, I am skeptical of the existence of a “Canadian way” of designing transit, but maybe I could be convinced. If I use the outlying Greater Toronto Area as evidence (and remember, this is where half of the people live), as we radiate from the city’s borders we find ever greater automobile reliance, interrupted by decent park-and-ride oriented rush hour service to central Toronto, and all-day transit that we both agree is subpar. And I see this scenario maintained by a citizenry that overwhelmingly sees transit as a tool for someone else (at best) or no one at all. Enter into this situation a transportation crisis in the region that everyone agrees should be addressed, but in which all potential solutions are contentious. Many of the proposals are (wisely) focused on improving transit infrastructure with enormous public capital costs and future operating costs. Now it is at this stage where the relation between minimum service standards and public support -> public funding are of enormous relevance. Within the city, there are areas where “minimum service standards” are currently interpreted as “having a subway”, which has led to debates that have been toxic and mostly nonsensical. An ironic result of this debate has been, however, strong public support from anti-tax constituencies to pay for an infrastructure upgrade (the Bloor-Danforth subway extension into Scarborough) that is *seen* as being superior despite being mostly unwarranted in terms of ridership, negative on its influence on the larger TTC network, and less useful to the mobility of residents from that part of the city. Goodness, in Toronto we even have a coverage subway: the Sheppard Line was buoyed by the idea that that area of the city ‘needed a subway,’ and 12 years of low ridership and high operational subsidies do not seem to have changed the mentality. I will answer more questions after. But I just wanted to touch on one thing, and that is your comments about transit service in Toronto (416) and the 905 outer suburbs. I don’t think the residents in the 905 view transit as for other people. The reason transit service in the 905 sucked for long, but has made great strides in the past 5 to 10 years, is because the governments in those areas are now making transit a priority. The old METRO Toronto back in the 50’s and 60’s was determined to chart a different course to suburban development in Toronto. This has led to our outstanding transit usage rates in suburban Toronto, regardless of how much people complain about service. Of course transit is not going to be perfect in all areas, but our high ridership even for non-downtown trips, shows the success of putting out good service in the then suburbs. Even in suburban Toronto (416) I believe almost half of trips are taken by transit and non-auto means (half of work trips were taken by transit until the massive cuts of the early 90’s which chased many people away with poor service levels). The 905 did not develop this transit culture until lately, because the government never invested much in transit. But we have seen this change as I said in the last 10 years. York Region started the trend to make transit a priority, and now other areas like Brampton have followed. All these 905 suburbs still have much better minimum service standards than most large American cities, and transit is still a viable option of travel. Brampton is a great example as transit usage rates were pretty low, and buses really only ran every 30-60 minutes, with limited Sunday service. Of course ridership was low. Brampton over the past few years has really ramped up transit service. Now all major arterial roads have bus service every 30 minutes or less until late night, seven days a week. During weekday rush hours these same routes have service every 10 minutes or less, and a number of routes have higher frequency daytime service Mon-Sat. Brampton is planning to have a primary 10 minute network touching all corners of the suburb. The buses in Brampton were not full before. But when Brampton started off with 15 minute rush hour service, then 10 minute service, and now 7 minute service on a number of routes, because the ridership skyrocketed. This demand was created by offering a good product. Many planners would say Brampton can only support bus service every 60 minutes. But the truth is, a good product was provided and people will use it. We are seeing this happen across the 905 now, as transit is starting to provide the kind of service that the TTC provided in the old METRO suburbs. It will take time, and we will really see the difference in a decade or so as the young people growing up in these areas are able to rely on transit and not buy as many cars. This is what we saw in the old METRO suburbs. People growing up with good transit are less likely to rely on cars as much. So I would say there is a wholesale rethinking of transit in the 905, and the 905 has the largest suburban transit expansion program of any region in North America. But the lesson is, good service had to be put out to everyone, to gain these benefits. Brampton’s high ridership corridors are supported by outstanding local service to lower ridership areas. But coupled together, the whole network works and has created huge ridership growth. @Michael – I will look forward to those other answers. There’s a lot on the table. Believe me, I will not scoff at the recent progress in the inner-ring 905 areas of Mississauga, Brampton, York Region and Durham, all of which have made important strides. I am particularly envious of the infrastructure development: as Toronto turns in circles making new plans and subsequently ripping them up, MiWay will open a new busway in November and VIVA continues to open new Rapidways on a rolling basis. I must admit to not knowing the municipal politics of those areas very well but am wondering about the extent and depth of public the support for the improved transit offerings. From afar I get the impression that transit in those communities is still seen as rather fringe and non-threatening; the tax base can currently support the (improved) level of service and it is useful for some commuters and “non-driving people” like students, older adults, and the minority of families without cars. I suspect that the growth in ridership is likely a virtuous cycle of improved service that makes transit a viable option for those who are tired of fighting for parking at GO stations, would have otherwise been driven by family or just stayed home, significant population growth in these areas, and through better inter-agency integration, especially the co-fare arrangements. Although the subsidy per rider is significantly higher/fare box recovery ratio significantly lower in the 905, I would guess the increased revenue through increased ridership probably facilitates slow system growth. Seeing that this growth is occurring on buses that would have run mostly empty a few years ago I presume there was space to absorb the new ridership without crowding and everyone, for the most part, is happy. But how long will this continue? I am wondering if the growth in these communities is similar to that of the TTC in the 1960s and early ‘70s: the city (then Metro) was expanding rapidly, there was space “to put things”, and public funding was sufficient to support good quality public service (note: I was not alive to experience this process, but I read/have heard about it). This built a transit system that was reasonable for the outlying areas of the jurisdiction and attractive for the core. Despite the devastation of the province pulling its share of operating funding in the 1990s and the regression of the recent Ford/Stintz era in City Hall, the TTC remains entrenched as a mostly functional travel option for Torontonians and our mode share of commuters using transit is quite high (I think that your numbers might be a bit inflated, I have seen city-wide numbers around 30%, and given that the daily ridership of the TTC includes a number of people from outside the city’s borders comparing the daily ridership to the population is not a good indicator). Fair enough. The conclusion of all of this is: although Torontonians get more in terms of transit, and ride much more, we also pay more in taxes for our system. Despite the utility that both you and I agree is there, a significant number of voters supported a mayor who slashed service under the banner of “Respecting the taxpayer.” Although we may have a legacy of a great transit system in Toronto, the TTC faces ever-increasing crowding and constraint as the public has yet to rise in support of its funding and our political leaders continue to engage in buffoonery. Although I think it is fair to point to the previously mentioned inner-ring 905 suburbs as success stories relative to their system growth and minimum service standards, the question remains of how those happened in the first place. The Toronto area tends towards values that allow technocratic functionality, except when there are passionate stances on issues (e.g., the Spadina Expressway, the alignment and details of every rapid transit line in the city besides those on Yonge Street, the widespread notion that Toronto City Hall was dominated by a pack of bike-riding pinkos prior to 2010). I do not know if such values alone would create the surges in public support of better transit, but it is at least one plausible explanation. Nonetheless, what is to say that an incoming leader in Mississauga or Markham will not come to office on a “Stop the gravy train” platform that decimates service levels – both ridership and service? How did this get to be about Brampton? It shouldn’t be- there’s nothing about Brampton or toronto in the whole post, or in the excellent media coverage that the post is about. What it IS about is how to start a debate about transit, and that’s what Edmonton needs. That’s something that the city, city councillors, Jarrett, Elise and the Edmonton Journal, as well as the free daily “Metro” have been doing quite well. Edmonton’s transit system was last redesigned about 20 years ago with an eye firmly on costs. Since then the city has grown significantly but changes have been mostly limited to adding new local routes in new neighbourhoods, and a few adjustments when new LRT extensions opened. Other than in central areas built before winding suburban streets became the style, and before we pioneered the 15-minute pulse transit centres with windy local routes (and we were small then) there are very few direct, straight routes, especially crosstown. There are very few routes that cross the river outside the core, and of those few I can think of only 1 that’s frequent enough to be a real option. Despite all those handicaps we have a reasonably well patronized system, and it’s a system that could be so much more useful if it had crosstown routes, and faster routes, and routes that aren’t tied into a 15-minute pulse system that no longer makes sense. We have an LRT line that runs ever 5 minutes and accounts for almost one quarter of all boardings, but for whatever reason almost all bus routes are every 15 minutes even if ridership is high enough to justify more – then we tend to get TWO buses every 15 minutes, and they come together, even if they are going to an LRT station or direct to downtown/university and connections to other buses are only a minor concern. We have very few crosstown routes, most of those we do have are incomplete, and all of them exit the main road to access transit centres where they wait for the pulse time before leaving, adding as much as 15 minutes to some trips that stop at 3 or 4 centres between terminals. We also have neighbourhoods where buses enter and exit by the same point, in order to get within 400m of everyone. These are places that are text-book violations of the “be on the way” principle of designing places for transit, but they have transit anyway, and unsurprisingly it’s not well used. There is a whole lot that needs to be fixed, and for edmontonians who don’t read this blog there’s a lot to think about, and thankfully we’re starting to think about it. Comparisons to a city three times our size that was 2/3 developed before inwards-facing suburbs became the norm, and where mile and half-mile arterial grids are substantially complete from border to border and utilized for a transit grid are not particularly useful. Neither are comparisons to a Brampton particularly helpful, especially as an example to encourage Edmonton to keep it’s system as it is. Brampton’s transit use is significantly lower than ours per capita despite the recent growth that, importantly, came after changes to make the system more grid-like and less loopy. If anything, both cities show the kind of ridership that can occur when, instead of a bus within 400m we can have a bus 600m away that comes more frequently and gets somewhere faster. I think we went that errant way because 1) we felt we needed a lot of details to make our points and we could only draw from places that we knew well, 2) we didn’t identify and offline forum to compare notes, and 3) nobody interrupted. I am hearing you say that the current coverage-based system in Edmonton is not serving riders well, and that starting THIS debate can lead to clearer thinking that makes the transit you already have more useful towards consciously-chosen goals. Check. Is there a way that the debate can instead change to be about increasing the supply of transit? We both wrote a lot, so excuse me if I don’t answer every question. I would love to chat with you about this off the blog if you like. Basically, there is broad support for public transit in most Canadian cities, and people are willing to pay more taxes for the service. Even in Toronto this is the case. There was much upset even in my area of suburban Toronto when Rob Fords transit cuts were introduced. I was in a community meeting with people chanting “raise my taxes for transit”. The situation in Edmonton is a funding one. We cannot continue to operate good world class transit systems on budgets that do not increase, and Edmonton is showing this. So instead of having to decide to cut transit in some areas to pay for more service in others. We should be asking for proper funding to provide a truly good transit system that serves everyone. And if everyone has transit and it is of use to at least some of the people in each area, then there is more broad community support for transit in general, because everyone gets benefit from it in some way. In my family for example, my father had to drive to work. But because of the high quality transit, my siblings and I did not need cars to get to school, to work, etc. Ultimately, even though we are adults now, my siblings and I are still heavy users of transit. You see this throughout my neighborhood, where even residents who don’t use transit support it, because they can see the benefits it brings to their neighbors, and they know it is there if they need it. And for some, they have needed it as they age. But why should someone support transit, if the bus is over a km from their home, or their neighborhood receives poor service? You see this in US cities where many people don’t want to support transit, because they don’t have any to speak of in their neighborhoods to support. If they don’t feel it is of any use to them, then the idea to support it is lower. Jarrett and other transit planners are well aware of the fact that for transit to be attractive to potential riders, it generally cannot be any further than a 400 meter walk away. Now of course not everyone is going to be this close. But the goal that most Canadian systems adhere to, is to get over 90% of the population within this goal (some push it to 600 or 800 meters during off peak hours). Very few American cities have any sort of walk or coverage standard. They are few and far between, and this is why you see the spotty transit coverage even in so called transit meccas like Portland. Go try and get a bus in most of suburban Portland on a Sunday evening, and you will be waiting until Monday morning. The issue I have, is this whole Edmonton debate is asking some people in the outer areas to walk 10 minutes or more to a bus, because some transit planner has decided that because they live in the outer reaches of the city, that they cannot support good transit (even though countless cities including Toronto show that outer areas can support great transit, when you provide it). I think that is totally false and a poor way to plan transit. If public transit is going to be a viable option and attract high ridership, then all areas of a city have to have quality transit services that fits their needs. Because as we all know, a transit systems works as one network. If one area is not functioning, then the whole system does not operate well. If outer areas of Edmonton have lower transit usage rates, it can mostly be attributed to the poor service levels generally provided. So one would say that more service needs to be provided to actually attract more riders. And on the heavy routes Jarrett talks about in Edmonton, a lot of that ridership comes from people transferring from the hated outer suburban local bus routes. Overall I do not agree with the typically American way of planning, that likes to plan transit based on density and perceived need. If we did this in Canada, almost no one in Calgary, Edmonton, or most of the outer areas of all our cities would have transit. Yet these vary places do support transit, and have higher transit usage rates than touted Portland in most cases. While the American way of transit planning tends to just want to focus on a handful of areas where there is perceived need. The Canadian system with sound service standards, provides an equitable transit service to all. This in the long run produces a transit network that can actually attract riders, and serves riders well. This is why Canadian cities don’t have access to work and school issues like American cities do. This is why we don’t need a Brookings report to tell us what percentage of jobs can’t be accessed by transit, like they do in the USA. This is why Canada does not need reverse commute funding, etc. So as I have said before, what I take offense to, is the idea that Edmonton is being told they have to decide to cut off some areas or ask people to walk unacceptable distances to transit, because a planner has decided that they don’t have the density or community design (despite the fact that these outer neighborhoods are as dense as inner city areas or more) to support transit. Instead planners should be working out how to provide the best possible transit to everyone, and come up with innovative transit solutions. Edmonton already did this, when they created the pulse network in the 60’s and 70’s to serve outlying areas. The decades of punishing suburban residents with poor transit as a a way to tell them they should not be living there, has done nothing but promote car use. Instead we should be doing like Paul Mees said, and come up with ways to provide a viable transit option available. And in the grand scheme, Canadian cities have done that, and our suburbs have high transit usage rates compared to our counterparts because of that. What I do agree to is a talk about maybe streamlining some of the community routes in Edmonton. But we would have to see how much this increases walking distance, and if it pushes too many people outside of the acceptable walk distance to transit. At the end of the day, Edmonton and most cities need proper funding for transit. And trying to take existing resources and make the best use of them is great. But it is not great at the expense of providing quality transit to everyone. If you have whole areas of a city with poor transit access, then you are not doing your job as a planner. Everyone in Edmonton should be able to rely on transit to get to wherever they need to. That is the only way Edmonton will reduce car use, and make transit a viable travel option for everyone. We really have to stop boxing areas into suburban, inner city, etc. At the end of the day, the majority of Edmonton is post war suburban, and planners need to come up with transit that works for everyone. I really cannot even believe we are asking residents if they want to cut off certain areas from transit, or ask people to walk 1km to a bus stop. Would you, Jarrett, or I walk a 1km to a bus? No we would not, and I am glad planners did not think like that when I was growing up. Because I would not be an auto-free resident relying on transit, if planners in the70s and 80’s, decided that my area deserved subpar transit because of its built form. I hope Edmonton’s outer residents fight reforms which do anything to cut transit service to any areas of the city. Again, it is great to be talking about a high frequency grid, etc. But we must not forget about the local feeder services. And any improvements can’t come at the expense of providing transit service to everyone. We have a good thing going in Canada with public transit, and some of the best service standards and equitable service planning which can be found. We do not need to choose coverage or ridership. We can have both, and we need planners to be saying that! Jarrett, I would really like you to answer why all areas of Edmonton should not have a good base level of service, and then any other resources are directed at “ridership” routes? I saw the map on the Edmonton journal, and it is just sad to see the whole outer area of Edmonton going from 30 minute to 60 minute base service. Is that really a way to make transit attractive to everyone, and make it a viable city wide travel option? We can get out of fixed budget language by asking what the marginal benefit of various levels of service are. This debate is introducing the reality that sub-15 minute service has a high marginal benefit compared to low-frequency service. This may be at the cost of half-hourly our hourly service which also has a high marginal benefit compared to no service at all. When I look at the same map, I am struck by both how large areas of the city go from 30 min to 60 min service with longer walk, but I’m even more struck by how many go from 30min service to 15 min service. I and it seems many Edmonton councilors believe that the later change is more substantial. There are also areas such as Cameron Heights that have their service cut altogether as they are extremely expensive to serve for a given population. What should that cutoff level be? Since a restructure of the Edmonton transit system would likely increase walking distance to transit, is there any investment planned in improving walking routes? Many of Edmonton’s block have quite sparse pedestrian connections to the main roads or across ravines. Should there be a different standard for serving seniors and people with disabilities as compared to the general population? I.e., 90% of the population should be within a 600m walk to a hourly bus or better, but 80% of seniors should be withing 300m of the same service. A lot of this has to do with a fundamental chicken-and-egg problem (and something that is also the reason that transit can exhibit both “death spirals” and “life spirals”). * Getting transit adequately funded, generally requires broad public support. * Getting broad public support, generally requires comprehensive service to most of an urban area (including its suburbs). * Getting comprehensive service to the whole of the urban footprint, requires adequate funding. When one leg of the stool is damaged, the others are threatened. Here in Portland, a combination of factors (the recession, ballooning labor costs, and the activation of several new rail lines at the most inopportune time possible) led to significant service cuts, and significant damage to TriMet’s credibility. While the overall funding source (a payroll tax) is secure, TriMet has seen organized opposition to its plans that it hasn’t seen in years (some of this is due to Tea Party politics in the suburbs, but not all). And relevant to the coverage/ridership debate, that may seem counter-intuitive: In low funding scenarios, it’s often the logical thing to do to increase funding for COVERAGE service, cutting RIDERSHIP routes if necessary: Doing otherwise both damages the value of the network (by increasing the area unreachable on the system at all) and exposes the system to “why should I pay for a bus that doesn’t serve my neighborhood” challenges, which are far more problematic than “the stupid bus runs through my neighborhood empty” challenges. Many of the Canadian perspectives here assume broad public support for transit, and the ability to deploy a minimum standard of service across the majority of a metro–an environment where the coverage/ridership debate is arguing over dessert. Many US cities lack funding for anything close to that, and political cultures that view public transit as waste or welfare. In that sort of environment, where even a comprehensive minimum standard of service is not financially possible, then they all become “coverage” routes. That is unacceptable that any area of the city would lose transit, including Cameron Heights. Should we stop providing fire protection and street lights theres as well, just because of cost? I love a phase I heard recently that “no one should be at a mobility disadvantage from not owning a car or being able to drive”. My main argument is that you do not choose between coverage or ridership. You provide your basic service to everyone, and then focus the rest of the resources on ridership routes. You don’t just decide certain areas are not worthy of good transit, because as we know, it is often the service provided that dictates whether an area has good ridership. You do not have a functioning public transit system that is an attractive service and serves all residents needs, if you are cutting off certain areas from transit all together, or subjecting potential riders to unacceptable walking distances. And given the issues you see in America with lack of basic coverage of public transit, why would we want to import that here in Canada, where are service standards do so well. My opinion is that Jarrett should not be telling cities that they need to choose between coverage or ridership. Advocate better route design. But I think it is a disservice to be telling cities they need to decide between the two. As I have said, you cannot have ridership unless you provide attractive transit to all areas of a city. What good is transit to me, if I have a bus every 10 minutes on one street, but can’t access whole swaths of the city, or need to wait an hour for a bus in other areas? There are many examples of cities I can think of which provide great service on a few ridership corridors, and then provide poor service on other services. What has the result been? Stagnating ridership, ridership decline, or no increases in transit modal share. Edmonton is not an easy city to plan transit in, with all those loopy subdivisions. So I think a better discussion should be why is Edmonton still allowing such poor suburban design? In other Canadian cities, many suburbs provide walkways to main roads from interior roads, so that buses can remain on main roads, etc. I do not see much of that in Edmonton, or Calgary for that matter. Why are these cities not promoting better suburban design like that, to limit the number of windy bus routes required? We are never going to fix the transit picture if we decide to just not try in some areas of our cities. And a great book to read is Transport for Suburbia, where the author goes into how this thinking that some areas don’t require good transit because of density or built form, is the reason our transit systems are not functioning well and attracting ridership. I really do not want to see inequitable transit planning brought into Canada. The reason transit is such a success in Canada, despite our suburban development, is because we provide transit to everyone, regardless of age, income, housing type, etc. The comment above that we should subject areas with low numbers of seniors to longer walking distances to transit, is not right. Everyone should have attractive transit, and we should not be segmenting our ridership like that. We should not be having communities like we see in Edmonton, concerned they will lose transit, or being told they don’t deserve it. And if Jarrett says he is not advocating this, then he has to tell these cities that. Because his rational is being taken that way in not only Edmonton, but other cities like Halifax, Fredericton, etc. Halifax even asked their residents if they should cut off certain areas of the city which are more suburban from transit, to provide more service in higher density areas. That is completely unacceptable, and if Jarrett is not advocating cutting people off from transit because they happen to not live in optimal housing developments that planners like, then he has to say it. Because like I said, cities are taking his comments a certain way and it is hurting people who are losing transit service, because all of a sudden we are being told that some people don’t deserve transit. On the topic of coverage standards. American cities have never really followed a coverage standard. There are a few which have a policy. But most do not in any way try to provide viable transit service to the majority of the population in the service area. This is partly the reason for the lack of transit ridership, lack of support for transit, and the extreme issues you see in the USA with access to jobs. You are not going to create a transit culture if people can’t access transit. I think the TTC’s planning of transit service is one of the best in terms of standards. Everyone gets a bus service seven days a week until about 1:30am, every 30 minutes or better. Servicei is provided more frequently on higher ridership corridors. And the majority of the population is within a 15 minute walk of overnight transit service. It is one of the most equitable service planning policies I have seen, and I don’t even think NYC tries to ensure all residents are within access of overnight service, or even late night transit. As there are parts of Queens and Staten Island which do not receive late night transit, even though they are no different than suburban areas you see in Toronto. I would argue that the reason the Canadian perspective assumes broad public support for transit, and funding to provide service to everyone, is because that kind of planning makes transit a service everyone can take ownership in and use. If American planners and governments would push for coverage standards and making transit viable for everyone, then I have no doubt you would see much more support for transit in American cities and regions, and support for funding. But really, how do you get support for transit, when the majority of American cities treat transit as a social service for people who have no other resort than to take transit? You see this in the way transit routes are planned in most American regions, the schedules of service, etc. Planners have to be more proactive and advocate for coverage standards and providing attractive service to all, regardless of income, or car ownership. I have a planning friend from here in Canada who is currently living part-time in the USA. And him and I have been having hours long conservations on this very topic, as he is noticing the differences in the USA and it bugging him. He can understand there being low support for transit in many Americna regions, when you factor in the fact that most residents don’t have a transit service they could even use if they wanted to. Or they are told they are not getting bus service because they have cars and therefore have a mobility option. I was just talking to a planner today here in the USA and he even asked why Canada has transit service in all our suburban areas. He did not understand that transit can serve more than just poor people. We need a wholesale rethinking of transit in the USA, if we are going to get the support we are talking about in Canada. But bringing in the idea that we need to cut coverage in Canadian cities will erode the great relationship we have in Canada between the public and public transit. If people cannot take ownership of it, they are not going to want to support it or use it. I agree with the principle, but it’s unattainable. Anyone using transit with frequency greater than 10 minutes is already at a mobility disadvantage compared to a car. Instead, we can have a system where everyone (or 95%) has access to transit with a modest mobility disadvantage (once per hour bus service within 800m or para-transit in the gaps), then maximize the number of people that can be served without a mobility disadvantage on the frequent network. “That is unacceptable that any area of the city would lose transit, including Cameron Heights. Yes and it’s already the case that Cameron Heights doesn’t have standard fire protection. It’s 10 minutes away from the nearest fire station when the standard response time is < 5 min. Reversing the analogy, Cameron Heights shouldn't receive standard bus service, but at least some substandard level of service (either a shorter plowed pedestrian path across a ravine 1km to the nearest stop, sub-hourly bus service, or dial-a-ride service) should be provided. I understand the issue with educating politicians about transit. But telling them they have to choose between coverage or ridership is not the way to do it. As for providing a base level of service to everyone, and then providing high frequency service on corridors that warrant it. I disagree that it is unattainable. Canadian and European cities have been doing this for decades with great results. And in the Canadian context, with outstanding fare box recovery ratios. While 10 minute service is great, it is not the only way to provide the “right to mobility” and make transit attractive. Read the book Transport for Suburbia to see this. Transit is never going to be a viable and popular mode of transport if planners are going to decide to not even try, and instead provide substandard service to areas they deem not worthy of good transit. That is no way to plan transit service, and will just perpetuate transit being a second class transport option. Again, there are countless examples of cities which provide outstanding service to all areas, regardless of development type, and they have high ridership and mode shares. Most of these examples in North America are in Canada, where we have worked hard to provide viable transit options to all. Instead of deciding to red line areas that don’t fit text book examples of planning. Edmonton was once at the forefront of creating transit solutions for suburbia, and the transit ridership rates in Edmonton grew because of this. Sad to see Edmonton wanting to throw all that innovation out the window, and instead decide that whole swaths of the city deserve no better than 60 minute bus service, and a 10 minute walk to the nearest bus ,if the residents don’t lose service all together. I was looking at the Mode Shift Report on the City of Edmonton website. What I found interesting was that transit mode shares were pretty even across Edmonton, even in the dreaded outer suburban region. Mode shares were highest along the LRT lines regardless of if it was inner or outer suburban. Transit mode shares even in outer Edmonton are higher than in suburban Portland. This can be directly attributed to the vastly better service and walk access to transit in suburban Edmonton, compared to other place like Portland. My advice is Edmonton seek solutions to make transit a viable and attractive option for all areas of the city and all residents. And not decide to pick and choose who gets a transit option, and who is banished to drive. Give everyone choices, from cars, to bikes, to transit and walking. Suburban Edmonton is no different than suburban Toronto, Montreal, Vancouver, or any other Canadian suburb, where transit is doing just fine; and could do even better with continued expansion of service. Just look south of the border to see what picking and choosing what areas to provide viable transit does to a transit network. As I have said before, I am glad planners in Toronto did not decide to choose between coverage or ridership 30 years ago. Otherwise I would not be a car free resident today, utilizing transit for all my trips. And neither would the hundreds of thousands of other suburbanites who do the same as me. Instead of deciding transit could not work in the suburbs, Toronto put out a great service which attracted people. As I said earlier in this post. Edmonton did the same with the timed transfer network to great results. A planner should be seeking solutions. Not throwing the towel in and declaring defeat. On a side note, people are acting like suburban Edmonton is a nightmare for transit. While the street network leaves much to be desired. The actual density and built form is not bad at all, and you can’t really get any denser than the suburbs of most Canadian cities, unless you move into apartment block only suburbs. So lets not use density as an excuse to provide subpar service, when the homes in new suburbs are spaced tighter together and have much less yard space than homes in the older inner parts of most Canadian cities. I really do think you need to list your reasons why you don’t seem to agree with the service standards most Canadian transit systems adhere to, which mandate a mostly semi-attractive base level service within a reasonable walk access to most residents. You can say that you just want to have a discussion, but going to Canadian cities and telling them to pick and choose and to weaken their standards, means that you do have an issue with providing an base level of service to an entire area. Otherwise you would not be advocating cities provide subpar service to certain areas. I would like you to clarify why why do you think throwing out good minimum service standards and cutting off certain areas from good transit service is a better way to increase ridership? Especially considering that when cities follow this model of only providing good service in some areas, they have low ridership, transit mode share, and mobility. The debate is not ridership versus coverage but sustainability versus sprawl. Transportation costs have skyrocketed along with the senior population. Every time you expand service to some outer suburb or rural area, you also have to expand para-transit service which costs five to eight times more than transit. It is UNSUSTAINABLE and SPRAWL-ENABLING. We need to educate the public not pander to them. If we keep sprawling out bus service, you won’t be able to provide either sustainable or sprawl service. Jim is right that this debate tends to track with a sustainability vs sprawl debate, but that doesn’t mean my framing is wrong. As a transit planner, I’m asking the question that I need answered before I can design a network that reflects YOUR city’s values. But Jarrett by phrasing the discussion the way you do, you are basically saying you do not agree with the basic coverage and service policies Canadian cities do very well with. If you did, then you would not be telling Edmonton to pick and choose, because you would respect the the policies in place to provide public transportation to everyone in the built up area, which is what public transit should be doing. How can you advocate that some areas should be cut off from transit, or have sub par service. Instead of working to provide top notch service to everyone. Again, there are countless cities that have done this, and Edmonton has also done this to a degree as well. I think asking the question if some bus routes could be streamlined to be less loopy, then I agree with that. And asking people to walk an extra block my be a trade off. But asking if whole areas should be cut off or receive subpar service. That is not a good question to ask. Transit will never be a viable travel alternative if you only focus on some areas and leave the rest of the city in a transit deficient. This is exactly what American cities do, and the results are not good at all. So why advocate it? Even Portland where you live. I am shocked at how little transit there is in the suburbs, and it is no wonder the mode shares are so bad, because people cannot rely on transit to go wherever they need to go. It does not matter the City of Portland has great service. Not everyone lives there, and they are traveling to all points of the region. We as planners should be striving to provide as good transit as we can to everyone. I seriously think everyone needs to read Transport for Suburbia. 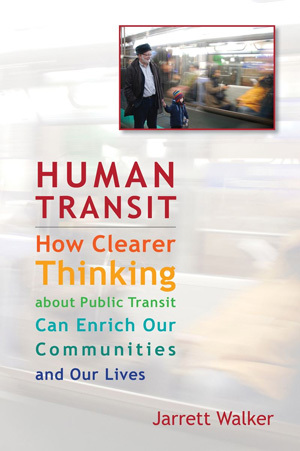 It is probably the best book on transit planning and how we have to want to come up with solutions. You could totally frame this the other way and go in and tell your clients that they should have a good attractive base service to all areas of the city, and then work up from there. But I can tell you, the idea of wanting to punish some areas of the city with subpar transit would not make this choice transit rider continue to live car free. I would be buying a car the day such a service change went into affect. Because i will not rely on a transit system that is going to cut me off from places in my own city. And most people think the same. So if you want to increase car use, congestion, and auto dependency, then by all means, cut off half of outer Edmonton to good transit service. But if you want to make transit a viable option, increase more shares, and encourage car free living, then you will work to make transit a great service to all corners of Edmonton. If European cities can do it in their suburbs (which are often not as different from Canadian suburbs as many think) and rural areas. Then I think we can do it in a major city, where the suburban subdivisions are actually very dense. 2) most of the geographic GTA has transit service that is far below sub-par (trust me, I grew up in Niagara Falls, which is considered outer ring GTA these days), which leaves a bit of a hole in this “Canadian way” notion. Now that this post is off the homepage I’m more comfortable with the idea of public ranting written debates. If you would like to move off-line, look me up on TTCriders’ “about -> who we are” page. An interesting discussion. Sorry I missed it while traveling to punctuate my retirement from RTD in Denver, where service standards are not as brutal as “American” standards described in the thread. Coverage absences in our region result not from the standards, but from a boom and bust sales tax revenue stream. A state law also demands that at least 20% of operating costs be covered by operating revenue, designed to shift spending toward capital projects. Steadily growing ADA spending accounted for the only expansion in tight budget years. There are built differences between Canadian markets and U.S. markets that are not reflected in some of the typical peer comparisons. These include tighter development requirements in Canada (sidewalks! ), the absence of the mortgage interest tax deduction (the Clark government in Ottawa was pooh-poohed for suggesting it), and higher auto operating costs. I was part of the implementation of the timed-transfer focal-point network in Edmonton. It had a frequent service grid – mostly trolley coaches – in the central area. With some additions for areas that were prairie then, the mayor’s sketch looks a lot like the trolleys plus light rail. Much of what the mayor sketched was lost in the Captain Ahab-like attack on the trolley lines and in Mayor L. Decore’s desire to divert transit funding to the interest groups that supported him. In order to keep expanding coverage in peaks, off-peak service was reduced. This required going back to the primitive form of accounting most transit systems use (in which every hour of service by mode costs the same, no matter whether peak or off-peak). When I figured out that we were doomed to a decade of mediocrity, I started a job search, as did many of my colleagues. It turned out to be good for me and good for Colorado. (Timed-transfer focal-point bus bays here are designed to exceed Edmonton standards, as one example. The service standards have some recognition that every hour does not have the same cost and that trips at marginal times of day on heavy routes attract overall ridership.) I am glad to see news about more recent progress in Edmonton.